Besides asking people in the street, I am sometimes contacted directly through Facebook, by people who want to nominate individuals as subjects. One such person was Joanne Plumbley, who suggested that the owner of Poodletrim would be a great candidate for the project. So I popped down to meet Louie Harrison at the place where dogs go for a haircut to find out more about her and what she thinks of Beeston. As the conversation went on, I realised that there was an interesting story being told here. One that needed to be developed into a feature for the magazine. The 1950s weren’t such liberal times as today, and single fathers hadn’t been invented, so her grandparents, who also lived in the area, brought her up. “When I was twelve years old, I started working as a Saturday girl at Poodletrim. It opened in 1958 by Elaine Drewery, in the same Victorian cottage, that was used as a shop that previously sold paint.” The name Drewery might trigger something in the minds of fans of 1980s pop music, as on the 21st of September 1959, Elaine gave birth to a daughter called Corinne, who later became the lead singer in the band Swing Out Sister; whose most well known song is ‘Breakout’ from 1986, and which made number 4 in the UK charts. Incidentally, the promo video features the band messing about with textiles. This is a bit of an in-joke, as Corinne studied fashion design at St Martin’s College. At age seventeen, Louie became the manager of Poodletrim, which is now certainly the oldest dog grooming place in Beeston, if not the East Midlands. Elaine Drewery and her family moved to Lincolnshire when Corinne was growing up. Elaine currently runs the hedgehog charity ‘Authorpe Hedgehog Care’. As the 1960s moved on, Louie got to know some famous locals like Paul Smith and Richard Beckinsale. In fact Paul Smith used to use Louie’s Afghan hound in his advertising, when he first set up the fashion label in 1970. Poodles have always been Louie’s favourite dog, and has had four in her life. Big Blues and Dark Greys. She remembers the fashion when people used to dye their poodle’s coat different colours. Sealyham terriers are a breed that was once popular. So too were fox terriers. Louie’s knowledge of dog breeds is extensive, which isn’t surprising, after dealing with them for nearly sixty years. Louie hasn’t needed to advertise her business at all for over twenty five years, as she purely relies on repeat business from long standing customers and word of mouth. She currently employs two assistants, two Saturday girls and often takes people on for work experience, or students who are studying animal care. I was away, swanning around on a Greek island, when the Referendum result came in. Typical, I thought, I leave the country for a few days and you go and break it. Well, next time I’m away you can all stay at your grans. Returning to the UK, I heard stories of a rise in hate-crime due to the Brexit result. Surely not in Beeston, though? Sadly, yes. I was told of a story of an Indian guy, who being both an Anglophile and a football fan was off to watch England play Iceland in a pub, and was racially abused on the street and told to go home. I received emails and messages from people, generally from Eastern Europe, saying how they now felt scared. This isn’t the Beeston I know. This isn’t the Beeston we want to have represent us. This is a small band of bigots, emboldened by the result, and whipped up by the awfulness of the whole Referendum campaign. Yet however small this smattering of racism is, hate shouts loud. But love shouts louder. The editorial of this magazine discussed how we could demonstrate this, and a startlingly obvious idea came to us. 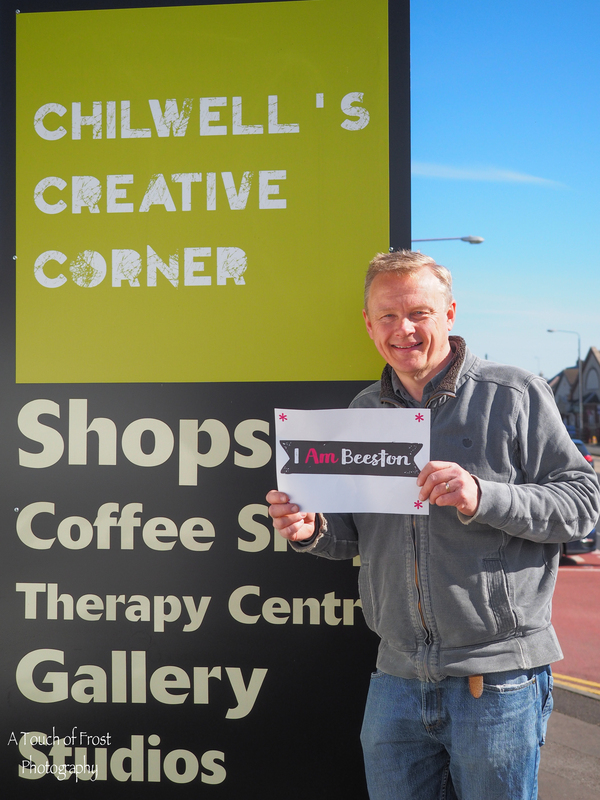 Beeston works so well because of the rich, vibrant diversity that keeps the place fascinating. International students from the Uni, the most incredible amount of quality restaurants and food shops, the workers who keep the QMC, Boots and many other places thriving. 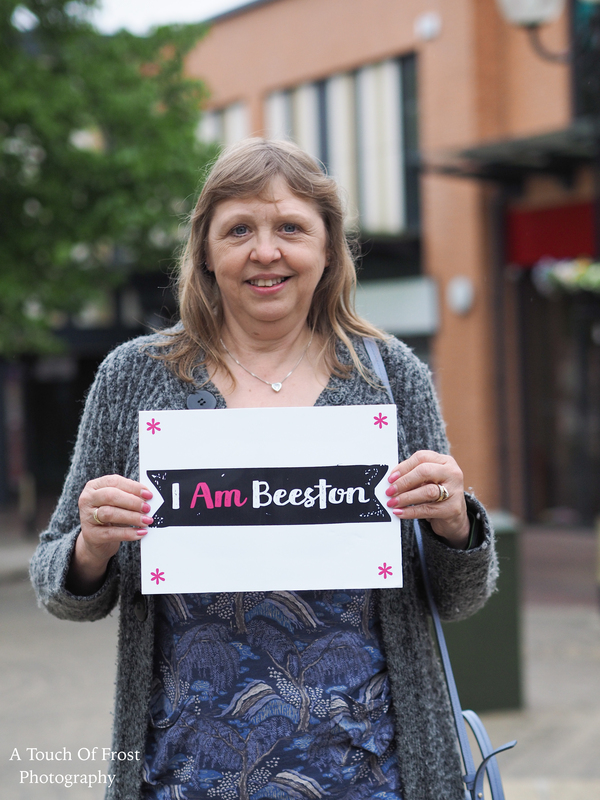 Wherever people are from, they are Beeston. A town is its people. More than its businesses, more than its buildings, people make a town. We’d celebrate that. We arranged to meet people, or simply stopped them on the street. We’d have them tell us about themselves, just a few words on who they were and why they liked living in Beeston, then put it up on our Facebook site. We’d show that a town is not ‘owned’ by one set of people, but is shared by all. We are all Beeston. The response to our pieces was phenomenal. Each new post garnered huge amounts of interests. We found a diversity of people that surprised us: from a tiny toddler to an octogenarian, from people born on the same street that they still live on to globetrotters who have found themselves in our town: the sheer range was astonishing. The stories people would tell us as we met them made us both laugh and cry. It was perhaps the most fulfilling project I’ve ever been involved with. One thing shone out more than anything, and one thing that I urge everyone reading this to take to heart. Just about every respondent we talked to, irrespective of their age, background or nationality, said the same thing when asked why they liked Beeston: the sense of community. That’s you they’re talking about. We might disagree on many things in life, we might clash on occasion. But one thing binds us, and one turns an average town into a great town: the sense of community. Together, we’re better. 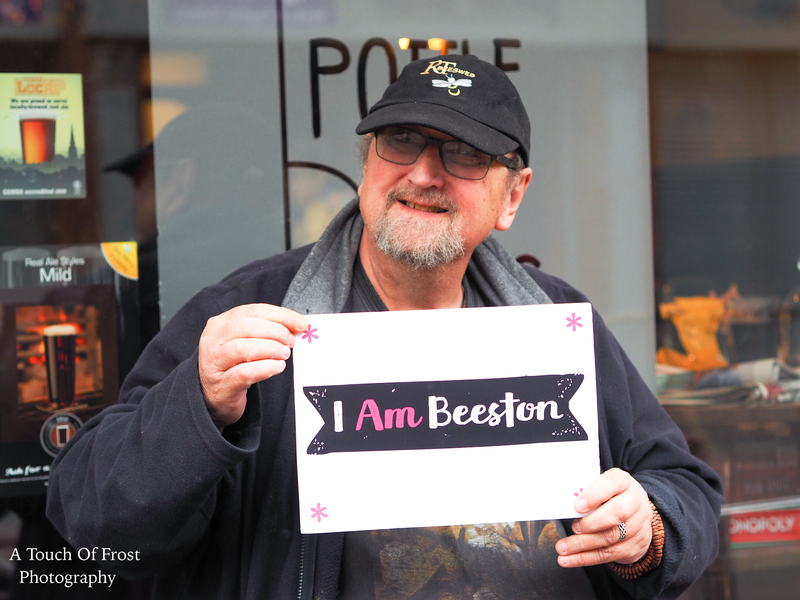 #iamBeeston #weareBeeston.